© Tao Virtue - bone structure of Daodejing #36 (English commas added). Briefly spoken of in a previous article, the 德 (dé ) word is often given the English synonyms of 'character, ethics, favor, goodness, heart, kindness, mind, morals, virtue' plus several others. None of the English synonyms have meaning... western philosophy has debated, for about three-thousand years, what 'ethics' and the other words might mean... three-thousand years of academic-scholarly debates, and still no answers — none of the individuals were able to describe the words from a firsthand point of view — which permanently proves that the words' meanings are unknown in English, indescribable, and, therefore, if unknown, then the unknown English words cannot, and do not, usefully translate the Chinese word 德. If an individual is not able to self-observe, not able to self-think, and not able to 'divide one oneself', then, the individual is not able to know what any English word implies, nor know what the individual's own words mean, and the individual cannot usefully translate any language, foreign or domestic. 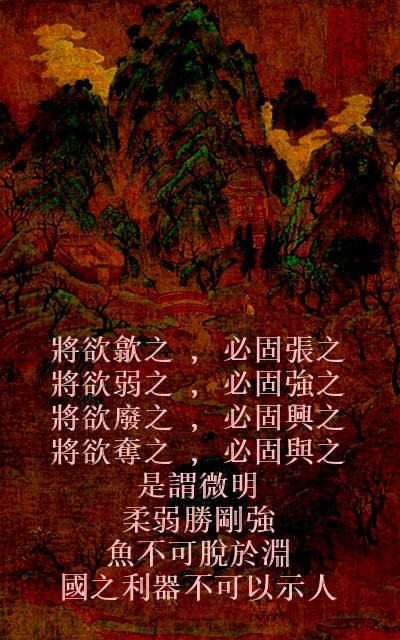 All known academic translations of Daodejing, use unknown modern English words, while claiming the unknown modern English words to be flawlessly perfect translations of an ancient foreign culture's language. 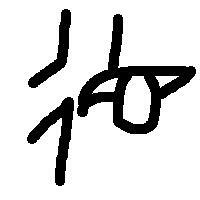 十 (shí) commonly implies the number '10'... can also imply 'complete, decade, perfect, topmost, the perfect number'... the symbol strokes, composed of 一 (yī), which can imply the number '1', or point to 'all, alone, once, single' or other singular things... also composed of 丨 (shù), which can imply 'go through up and down, pierce'. Next, is again 一 (yī), which can imply the number '1', or point to singular things. 心 (xīn), or 忄 when used as a side symbol, often implies 'heart', but can also sometimes imply 'bosom, center, core, feeling, intelligence, thinking', depending on sentence use. As a concept, 德 might imply 'careful steps, ten eyes, one heart (or 'straight heart')'... the chosen concept, will, of course, reflect one's own life, as well as reflect one's own ability to self-observe and to self-think. What if, 'small steps, ten nets, one heart'? Maybe plausible, but not probable, because the 'ten nets' concept's use within the sentences does not relate to the sentence's patterns. Why ten eyes? Plausibly, it may have implied the five gods of ancient Asian cultures... careful steps, while being watched, which also presents the concept of 'virtue' being an external outsider behavior that submits to outsider approval, not being an internal inside nature, nor being an external behavior that submits to one's own inner standards. Much like today, and within western philosophy, psychology, physics, and all known other fields, the idea of 'virtue', 'ethics', 'benevolence' and 'morals', are all only judged relative to external behaviors, with no emphasis upon one's own internal natures. Within the ancient Chinese texts, almost always the word 德 is used relative to submission of cultural social opinion... what might today be better presented to be like 'submission to popular cultural opinions of the moment... and the cultural opinions will dramatically change many, many times each year'. The acceptance of submissiveness to cultural social opinion, is, itself, an act of being a wishy-washy mediocre nothingness person, of no value beyond being an animal of burden. All academic translations of Daodejing are similarly void as Legge's, because, the word 'virtue' has no meaning in English... because, people not self-think.